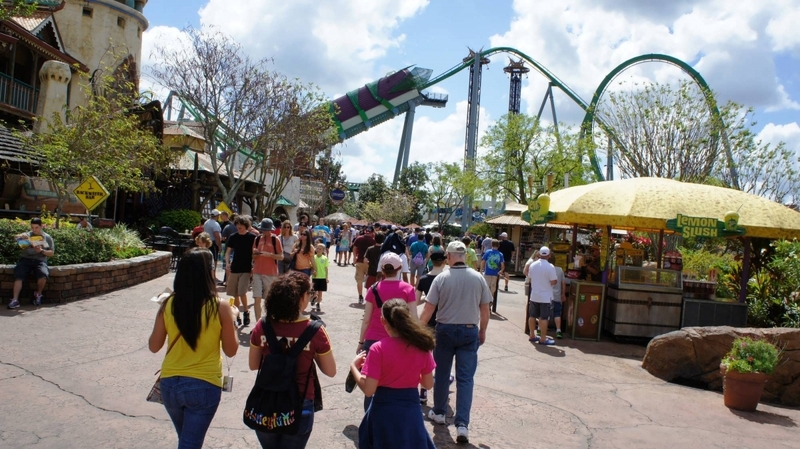 54 inches; loose articles must be stowed in free lockers across the walkway from the attraction’s entrance (next to Cafe 4); has Express Pass access; also has a single-riders’ and front-row line. 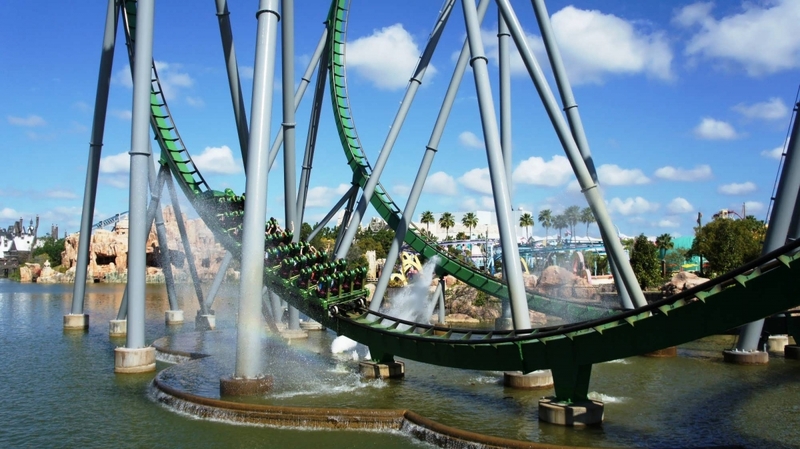 This high-speed rollercoaster is arguably the best coaster in Orlando. And, despite its menacing size, it is an extremely smooth ride that you will get pushed into doing once, but then want to do over and over again. 5 out of 5. 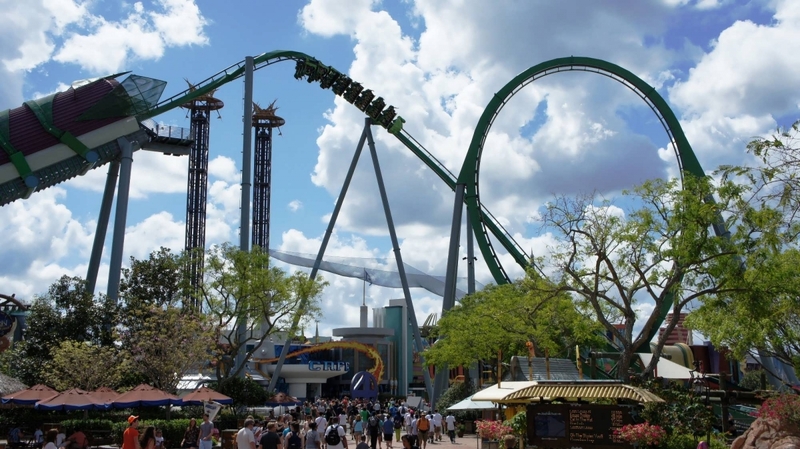 This ride features seven inversions, a 110 foot cobra roll, a max speed at 67 MPH and produces 4Gs (which is the same amount of Gs that a Top Fuel drag racer experiences during launch). However, it is worth noting that most of the fear happens while you’re anticipating the ride, not when you’re actually on it! This one’s bite is not nearly as bad as its bark. In addition, the coaster launches in front of the bridge leading from Port of Entry to Marvel Super Hero Island, further creating the illusion of immense speed and height. 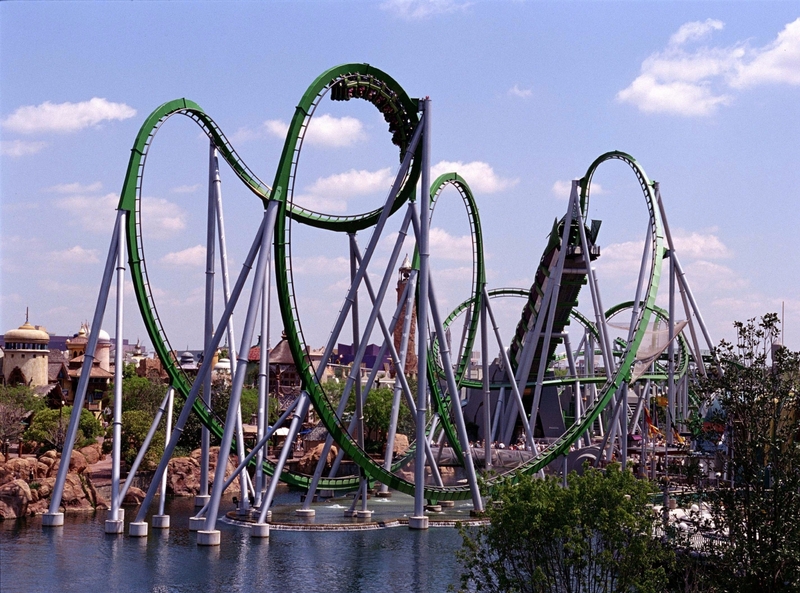 However, in the end, the smooth ride makes Incredible Hulk almost all thrills and surprisingly little fear. The launch takes you from zero to 40 mph in two seconds flat. Hulk was featured in the 1999 film House on Haunted Hill. In the film, it took on the name Terror Incognita. 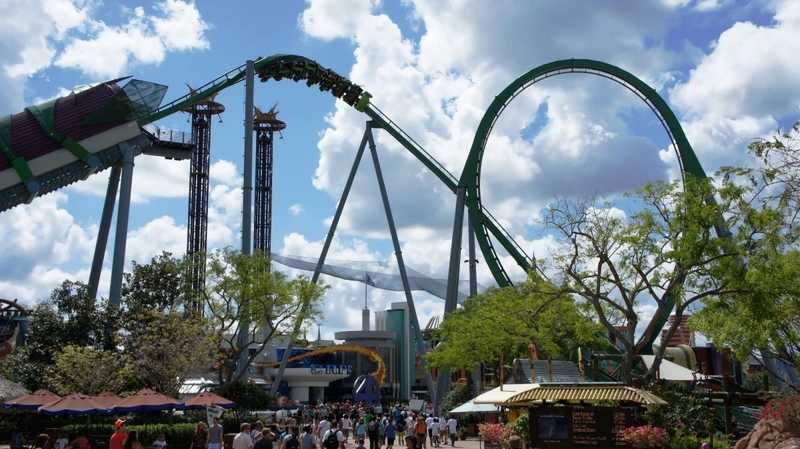 The track length of the Hulk Coaster track is 3,700ft and the ride time is 2 minutes and 15 seconds. 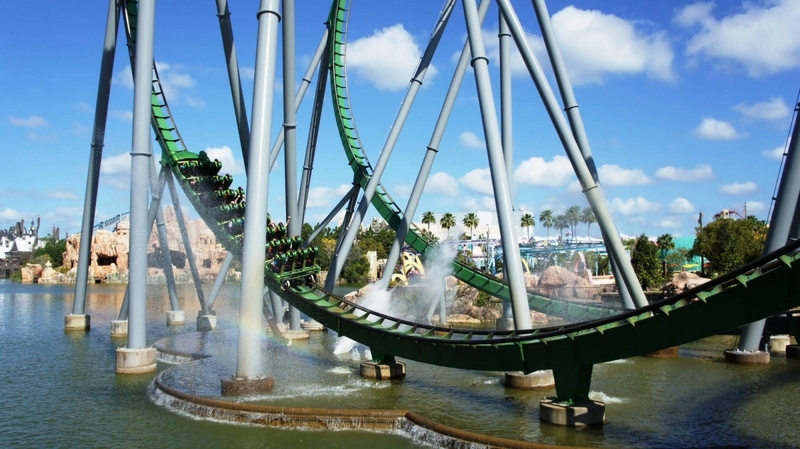 When it opened, the launch of the Hulk uses so much power, the City of Orlando wouldn’t allow Universal to use their power, so Universal has onsite turbines that generate energy to propel the hulk coasters every 20 seconds. 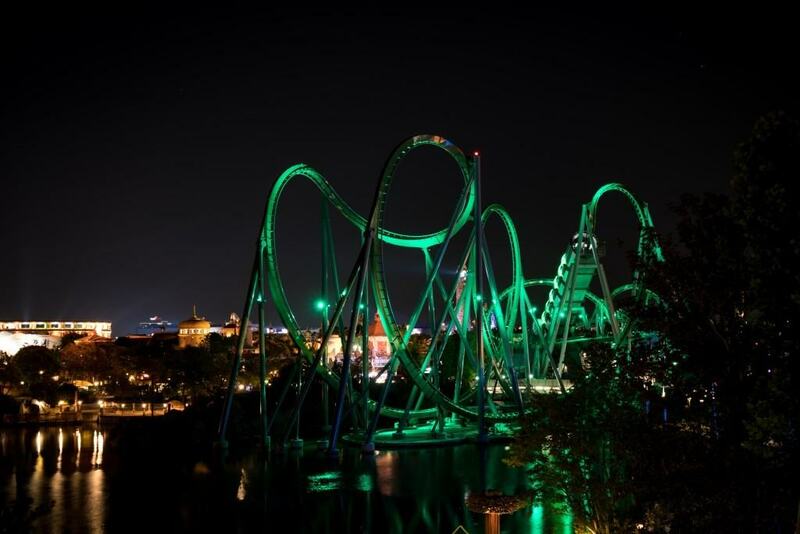 Hulk underwent an 11 month makeover, reopening in August 2016 with an all new track, lighting package, on-board audio, and more. This ride is incredible. I'm a coaster enthusiast and this ranks way up there on the 'will definitely ride again' ride-o-meter. 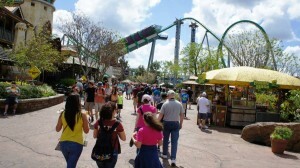 This is my FIRST STOP when I come to Islands of Adventure!! I love rollercoasters! 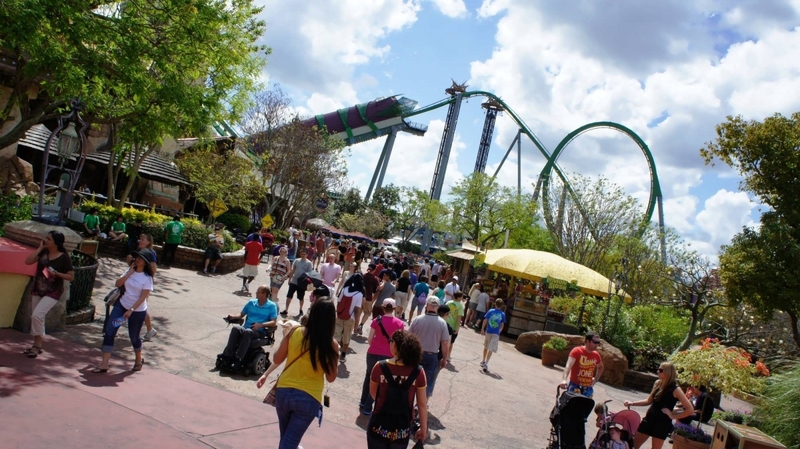 The sound that emits from this coaster is INCREDIBLE! I love sitting in the back row! My favourite part is when riders are launched out , like a pinball machine! 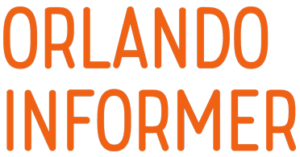 If you are NOT a rollercoaster person and gets sick easily, I wouldn't recommend this. Even for me, my head hurts a bit when I get off. But it's so worth it!! 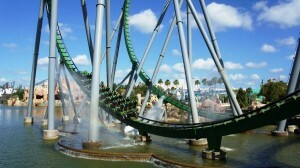 The Incredible Hulk Coaster is the smoothest, yet heart-pounding roller coaster in Island of Adventure. The beginning is my favorite part too where the acceleration is ridiculously rapid fast. 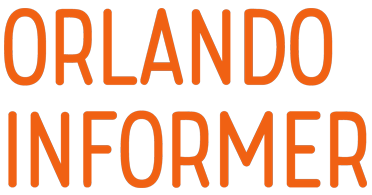 It has everything that roller coaster enthusiasts love and enjoy about coasters in loops, corkscrews and speed. This is the 1st ride that I must get on every time I enter this park. It's usually the coaster I like to finish the day off with too. 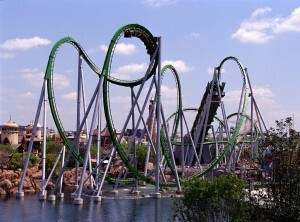 I can't get enough of the Incredible Hulk Coaster because it's mean, green and one gnarly machine!